Vladimir Putin greeted the other G20 leaders as they arrived for their annual meeting earlier today. This year the gathering of the World's economic powers was held in St. Petersburg. 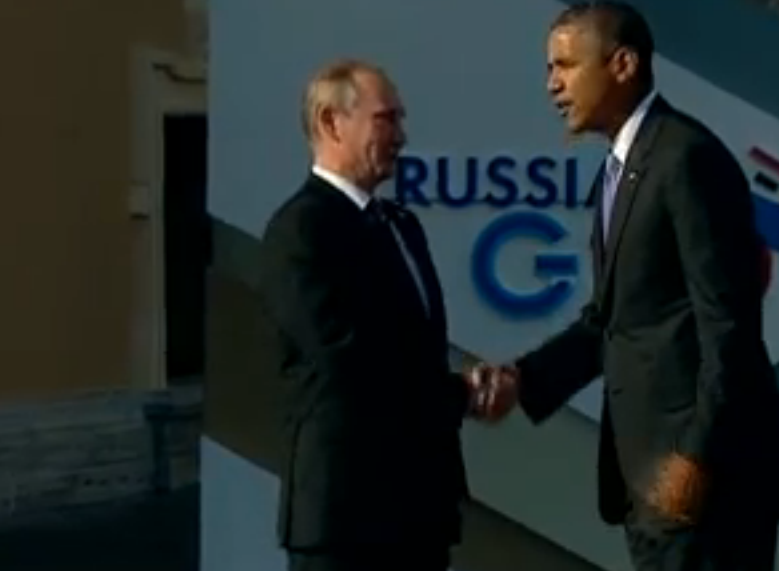 Much has been made in the last several hours about Barack's and Vladimir's handshake. The photographed or videoed political handshake is unlike almost any other handshake because it is so very posed for the camera and media. Thus certain aspects of this particular species of handshake are diminished while others are often exaggerated. Yet there remains a myriad of emotions and mindsets which can be gleaned from careful nonverbal observation. 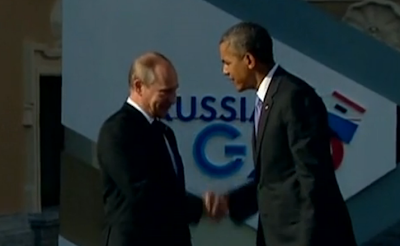 What follows is an analysis of Putin and Obama's handshake and initial contact at the 2013 G20 meeting. In most circumstances it is not advised that a man buttons his suit jacket just prior to a greeting and shaking hands - because this can be a signal of deliberative distancing and arrogance and thus should be avoided. However when the jacket is left open it signals a mirroring open, inviting and friendly emotional tone - and engenders the same feelings in others. President Obama however buttons his suit for virtually all initial greetings. He is also concerned about being photogenic and does not want to perceived as sloppy. Perhaps this would have been one occasion where it was particularly advisable to leave his jacket open. He wants to win over Vladimir and build rapport. Barack distanced himself with this action though. In the instant just prior to the initial hand contact, note that Barack Obama's hand is slightly less than perpendicular to the ground - close to, but not quite in the neutral position. Putin's hand however, is turned moderately so that he will be in the dominant position when the two leaders hands' meet. A second later after the hand contact is made, Putin maintains his arm and wrist so that he is still somewhat on top - therefore slightly more dominant or in the alpha position - advantage Russia. Vladimir's hand should be further out - away from his torso in order to project diplomacy and build rapport (e.g. equals, reaching out, meeting another half way). His need to maintain his hand on top and the muscle strength in order to achieve this necessitates him keeping his arm closer to his body. 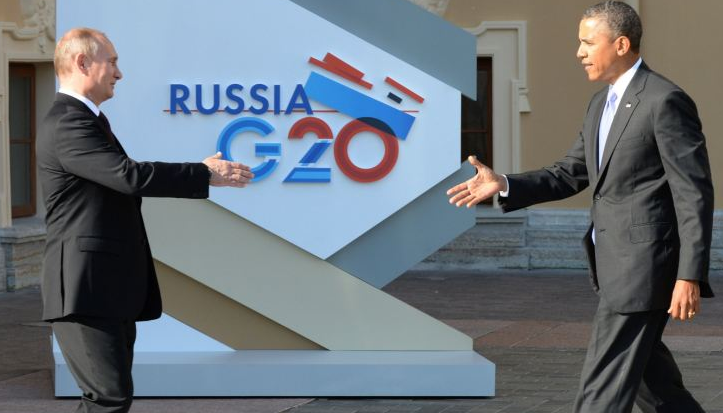 With his six inch disadvantage in height and a proportional diminished leverage - there was a much easier way for Putin to achieve this hand dominance - do you know how? Notice that President Putin is leaning slightly backwards here while Obama is leaning toward his Russian counterpart. 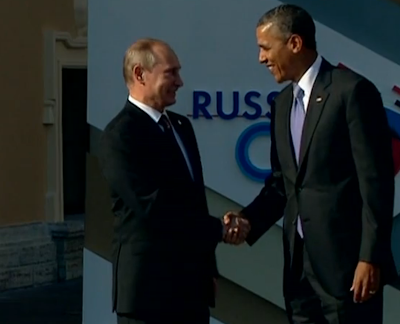 This puts the American in a more dominant position and is strongly suggestive that Putin is intimidated by Obama. Advantage U.S. 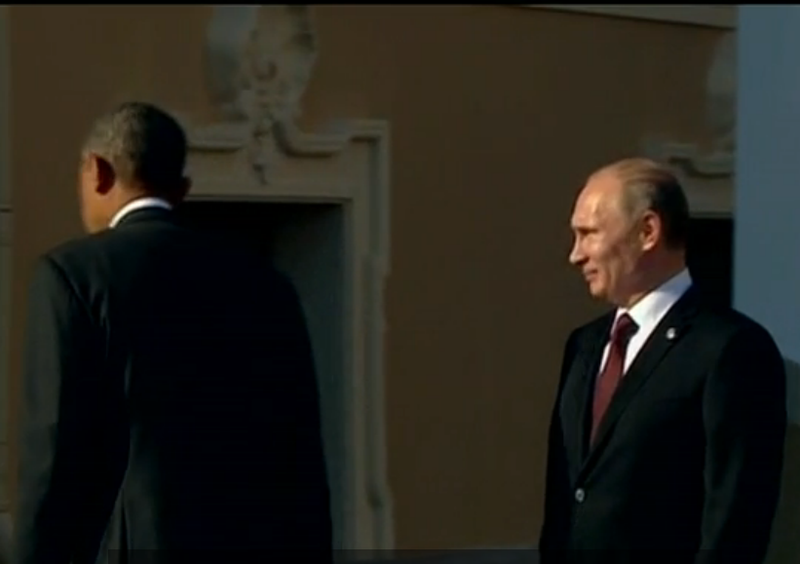 Note here that Obama is not looking at Putin (this is known as "gaze aversion") - nor is Barack smiling. The importance of eye contact and sincere (Duchenne) smiling during a handshake cannot be overstated - yet so few who should know better follow through with this body language. Bad form Barack. Vladimir's emotional mindset is very tense in this instant - as betrayed by his clenched jaw muscles. 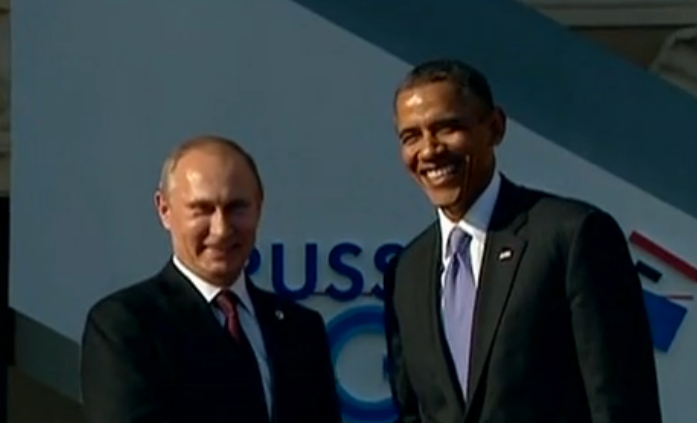 This is a typical false smile for the former KGB agent (any many, many others). Here Putin is leaning even further backwards while his false-smile-jaw-clench persists. One anomaly specific to photographed political handshakes is the extreme number of hand pumps (posing for cameras, etc.) - here the two World leaders exhibit seventeen pumps. Although it can be a form of one-up-man-ship, be careful not to read too much into this action in this setting. The number of hand pumps is variable to the country and region. Before visiting another, this is one idiosyncrasy that is important to learn in advance. Putin's strong gaze aversion further amplified by a head-tilt downward, is very poor form in this moment. Here is a close-up view of their hand orientation. 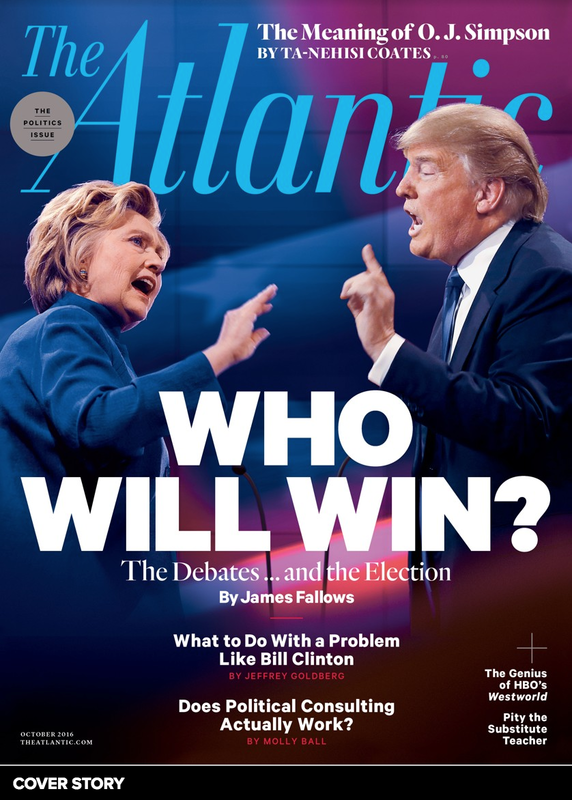 Putin is on top by approximately 25 degrees - in a slight but significant dominant (alpha) configuration. Another oddity particular to the political handshake is turning towards the camera - thus preventing eye contact - in order to allow a good photograph moment. 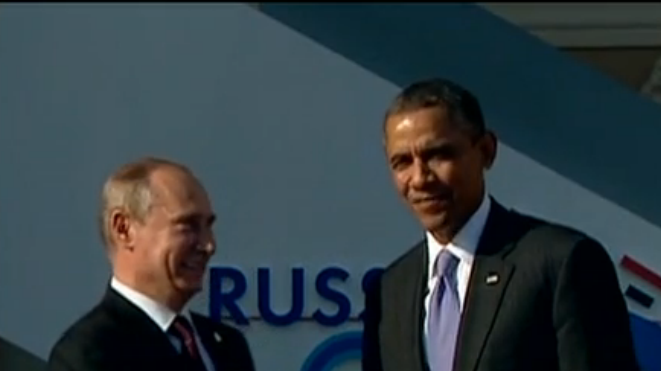 Obama's smile is sincere here, and Putin's is significantly improved (although not fully a Duchenne smile quite yet). In this instant, Obama displays a microexpression of disgust. Here Obama begins to pat Putin on his shoulder-upper arm region but aborts his effort. This was wise of Barack. Such contact is a form of false-affection display - it is patronizing, arrogant and is ill-advised. 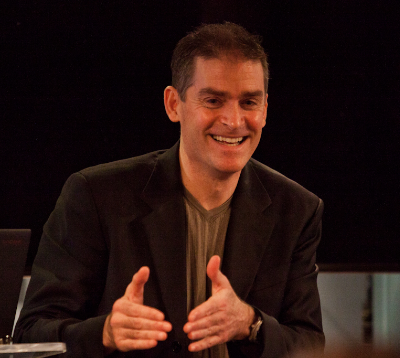 Those in power, whether a CEO or a head-of-state use this nonverbal far too often. Do not feign affection. Even young children can tell you're faking it. 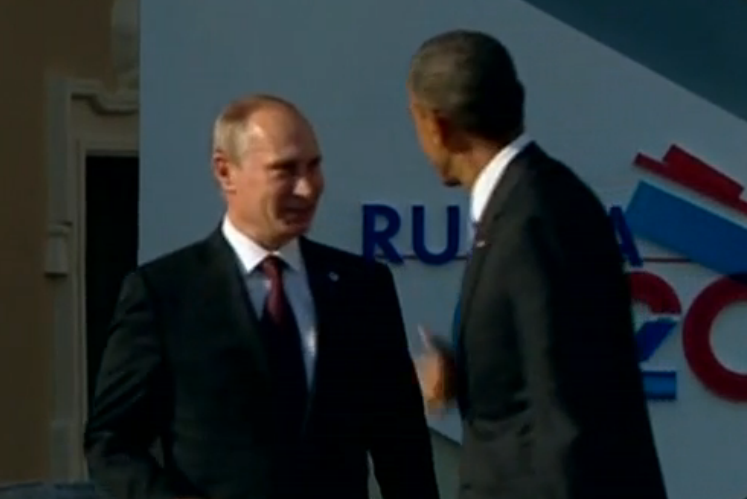 Here it is Putin's turn to display a mild expression of disgust. It is however, longer lasting than Obama's disgust microexpression. 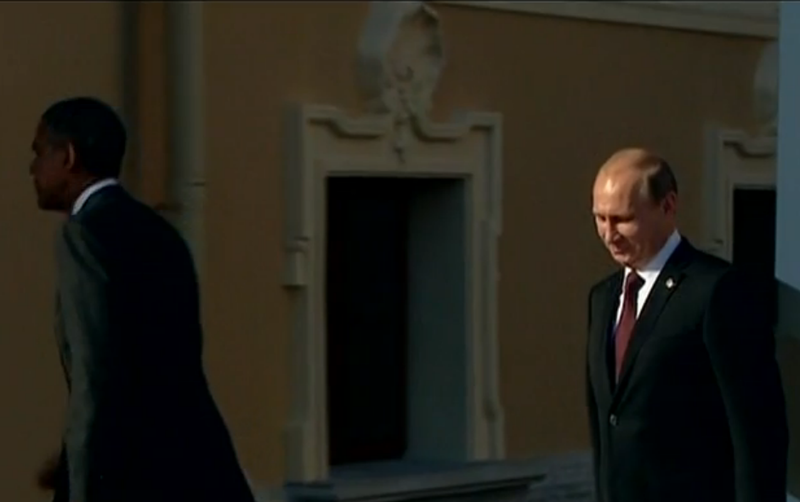 Putin's disgust continues as his negative feelings persist with his downward gaze. This head-eye position indicates a submissive, beta behavior relative to Obama's. 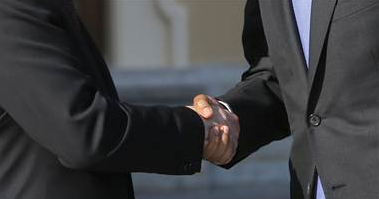 Negotiation Secret # 703: Reaching out to Sarah Palin, Bad Handshake? Let me count the ways!